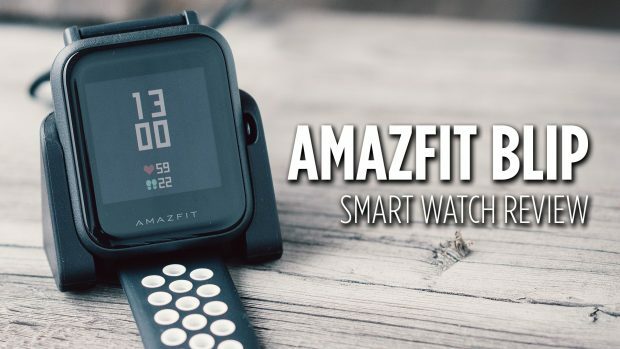 I first discovered the Amazfit Blip on Amazon while browsing smart wearables and was surprised by its price and the reviews. What really sold me on the smartwatch was the three-week battery life. I had to try one. I wanted to see if it lived up to the hype so I ordered it Prime Same Day while in Seattle and got to pick it up from one of those nifty Amazon Prime locations. The watch is small and initially reminded me of a Pebble Smartwatch. It is very light and comfortable to wear. It uses a standard watch band so most aftermarket 20mm watch bands fit it. I bought an aftermarket band that looks like that Nike Sport band for the Apple Watch. Later that day I had two different people ask me if I had got a new Apple Watch. The Amazfit Blip is a fitness tracker that also gives you text and call notifications. It has a heart rate monitor as well. There really is a lot packed into this watch. I have no idea how they are able to get three weeks of battery life out of this thing. I was blown away that it took six days just to drop from 100% to 96% battery life. A fantastic lightweight smartwatch with a battery life of 3+ weeks.